As a wedding photographer that specializes in outdoor mountain weddings, you can be sure you are in good hands with me to capture your wedding love story in Keystone, Colorado. Keystone offers a variety of great venues to choose from, including Timber Ridge located at the top of North Peak. There you can have your ceremony on top of a large wooden deck over looking the trees and mountains, and to get there you and your guests get to enjoy a gondola ride! 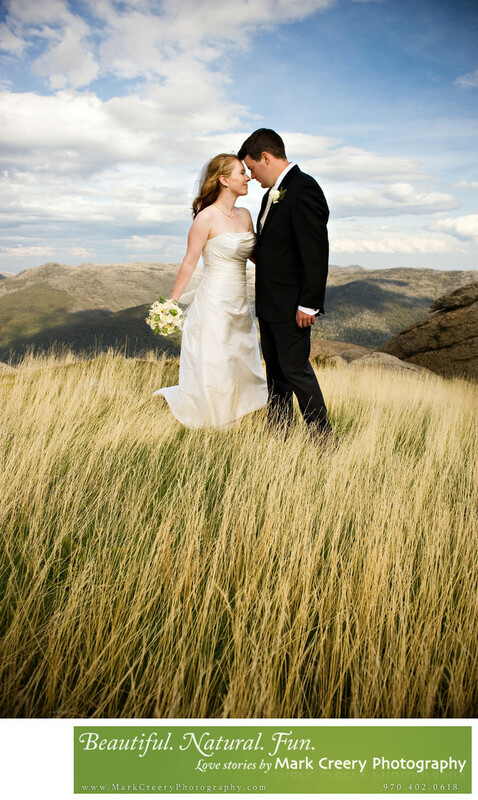 Another great venue is Alpenglow Stube, located at a breath-taking elevation of 11,400 feet! They have a top class restaurant there for your reception, along with the amazing views you expect. Indoor ceremony options are available for the winter. Keystone Ranch is another great option located in the valley below. There you get more sweeping open looks at the mountains and your ceremony takes place on some lush greenery, with an indoor back-up location. Ski Tip Lodge is an historic building with a mix of that alpine feel along with Old World charm for a unique wedding. It has room inside for 75 and outside with tent for 120 guests. If you're looking for an easy-going, fun photo experience for your wedding then get in touch with me and I'd be happy to chat. Keystone Resort is located in Keystone, Colorado. Contact: (877) 625-1541.